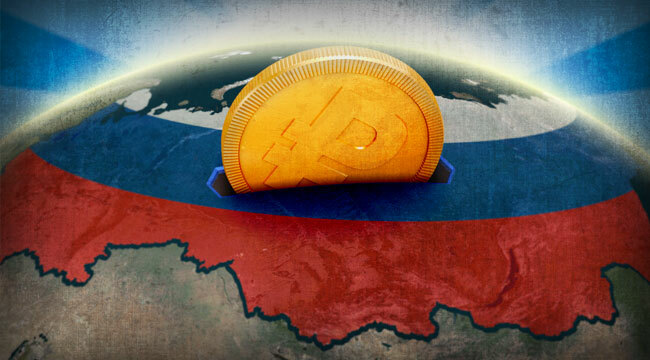 Russia is on an upward economic and power trajectory right now for many reasons. While Trump and Hillary traded punches during the election, Russia was quietly amassing economic power. Russia has strategically engaged in a myriad of trade agreements with China, Japan and the EU in order to diversify against the possibility of U.S. arrangements not materializing in its favor. Russia is also seeking more trade with the UK. As the Brexit proceedings get underway, this will only increase. In addition, while Janet Yellen was waiting for the election to be over before chancing an interest rate increase, the head of the Russian central bank, Elvira Nabiullina, was strengthening Russian monetary policy. Each of the steps Russia took in the last year have given it an advantage for 2017. Expect Russia to continue on this trajectory and for it to be a destination for capital inflows in the coming months. The Sweet Spot Between China and the U.S.
First, we need to examine the power triangle between Russia, China, and the U.S. These three main world powers are constantly in a game of odd-man-out. The goal is for two of the powers to form an alliance to the detriment of the third. While Obama subscribed to a globalist ideology, Russia and China never lost sight of their national interests. China and Russia have been working together on energy and trade deals since the U.S. became the odd-man-out. For example, on Nov. 19, in the wake of Trump’s victory, Vladimir Putin and China’s President Xi Jinping convened for talks during the annual summit of the Asia-Pacific Economic Cooperation (APEC) group in Lima, Peru. According to Kremlin spokesman Dmitry Peskov, both leaders sought to strengthen their cooperation within APEC and move towards establishing a free-trade area in the region. Putin is set to make another official state visit to China in May 2017. This is to be a part of the “Silk Road — One Road, One Belt” initiative. The Silk Road is a trading route covering about 65 percent of the world’s population, one-third of the world’s GDP, and a quarter of global trade. In addition, Russia has initiated clean energy projects through the New Development Bank (formerly called the BRICS bank, and headquartered in Shanghai) and other platforms. The goal is for 4.5 percent of all electricity generation to be from renewable sources by 2020. With this goal in mind, expect clean energy to be an area of growth for Russian investment, just as it has been in China. From these moves, it is possible to see that Russia isn’t going to abandon all the work they’ve done with China over recent years — even though Russia could work more closely with Trump and the U.S.
Russia’s business relationship with the U.S. under the Trump administration will likely blossom with Rex Tillerson as Secretary of State. Tillerson is the former CEO of Exxon and is in favor of working more closely with Russia. Russia is already a substantial provider of natural gas. With Russia’s increased involvement in clean energy projects with the New Development Bank and stronger ties with Trump and the White House, there will be a combination of ways this growth area plays out in either the U.S. or Russian economy. There are other areas of growth ahead for Russia, too. Defense related business in particular could grow if the U.S. and Russia join forces more formally against ISIS. That would bolster Russia’s economy and stock market. If the U.S. were to reduce sanctions on Russia, it would enhance this effect. Even if they do not join forces, or their relationship deteriorates further, having the U.S. as a military adversary would bolster Russian military spending. Trump has already indicated he wants to get into more nuclear weaponry. We have discussed Trump investing in the U.S. Navy, but if nuclear weapons get more attention, the Air Force would receive a considerable amount of increased funding for its nuclear capacity. The Air Force has already asked for more nuclear control. Any shifts in the U.S.-Russia relationship would only increase that, and for better or worse, increase Russia’s investment in the same. In addition, Russia is the world’s second biggest armaments exporter. Annual sales are $15 billion. Yet it only boasts the 16th highest military expenditure in the world according to the CIA. This means there is room for growth in this area as well. The U.S., China and Russia will continue to play a three-way tug of war. While Russia is playing both sides of that dynamic, they have also strengthened relationship with what we call “secondary” world powers. One of these secondary powers is Europe. Russia has strengthened its ties to the EU recently. It is the third largest trading partner of the EU (and the EU is the largest trading partner of Russia). Russia also supplies nearly one-third of the EU’s natural gas. This provides ongoing profit to the Russian economy. The EU is the most important investor in Russia. Up to 75% of Foreign Direct Investment stocks in the Russian economy come from EU Member States. Right now, the EU is undergoing its own identity crisis. 2017 will be another year of major elections that will inevitably keep swinging countries to more nationalist leanings. Any political shakiness in the EU make-up could increase the percentage of Foreign Direct Investment in Russia as capital flees the EU. Russia has also extended its relations with Eastern European countries that have grown disillusioned with the EU. Citizens blame the choices of political leaders for bad economic performance and poverty. Eastern European politicians, in economies impacted by U.S. trade sanctions on Russia, could forge tighter strategic alliances with Russia. Both Moldova and Bulgaria have seen a rise in the popularity of pro-Russia forces, as more voters are shunning their more immediate EU neighbors for closer Russian ties. In November, Bulgaria elected pro-Russian candidate, Rumen Radev, as president. Pro-Russian candidate Igor Dodon was elected Moldova’s president. Beyond Eastern Europe, the UK post-Brexit and countries like Norway and Switzerland are considering trade options in this new world of Trump and Russia vs. the old world of Obama and the EU. Even France’s Le Pen and Italy’s Beppe Grillo are members of the Russian fan club. Upcoming elections in France, the Netherlands and Germany — if they adopt the same pattern as the UK, Poland and other Eastern European countries — could drive politicians to lean away from the EU and towards an ascendant Russia. While more pro-Russia officials are being voted into power in these nations, they will have an increasingly positive impact on Russia’s economy through mutual business relationships. Any of this could fortify Russia’s circle of influence and go a long way toward restoring some of its former glory and power, as well as weaken the EU and the euro in the process. As Trump assumes his role in the White House and strengthens U.S. ties to Russia, investors will be presented with a good opportunity to take advantage of Russia’s gain.